when i moved to italy in 2011 i never would've imagined the amount of travel and experiences i would be fortunate enough to have in the subsequent years. living here, i spend my money differently than i did in the us. and so, instead of buying tons of stuff, i travel. 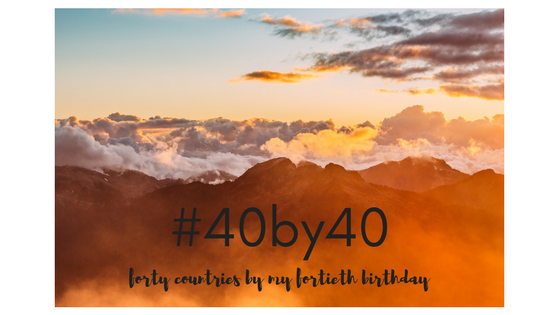 with my 40th birthday looming in 2017, i set out a goal of visiting 40 countries by my 40th birthday. with my trip to romania in may, the goal was met! here's my list of the 40 countries i've visited!